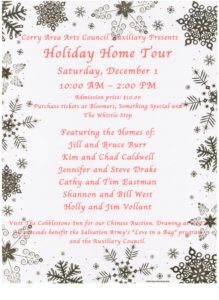 2018 Holiday Home Tour – Corry Area Arts Council, Inc.
Saturday, December 1st, 10 AM – 2 PM. Tickets can be purchased at Bloomers, Something Special, and The Whistle Stop. 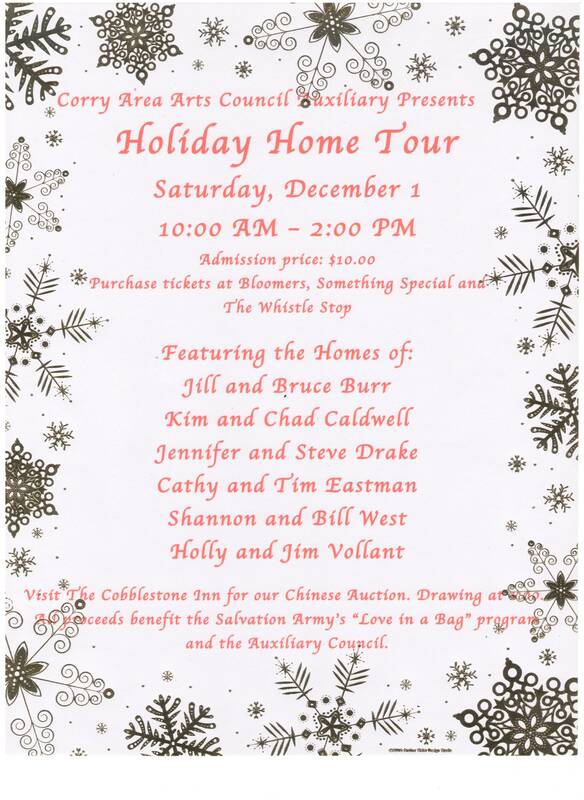 Proceeds benefit the Salvation Army’s “Love in a Bag” program, and the Corry Area Arts Council Auxiliary!